Conservative Party member Mr Garnett Genuis called for a concrete and precise motion in the House to address the serious and deteriorating human rights situation in Chinese ruled Tibet. (TibetanReview.net, Jun14, 2017) – Addressing the Canadian parliament’s House of Commons on Jun 12, opposition Conservative Party member Mr Garnett Genuis called for a concrete and precise motion in the House to address the serious and deteriorating human rights situation in Chinese ruled Tibet. He particularly referred to China’s months-long demolition work carried out last year at Larung Gar – probably the world’s largest Buddhist learning centre – besides religious repression and the prolonged stalemated in Sino-Tibet dialogue. 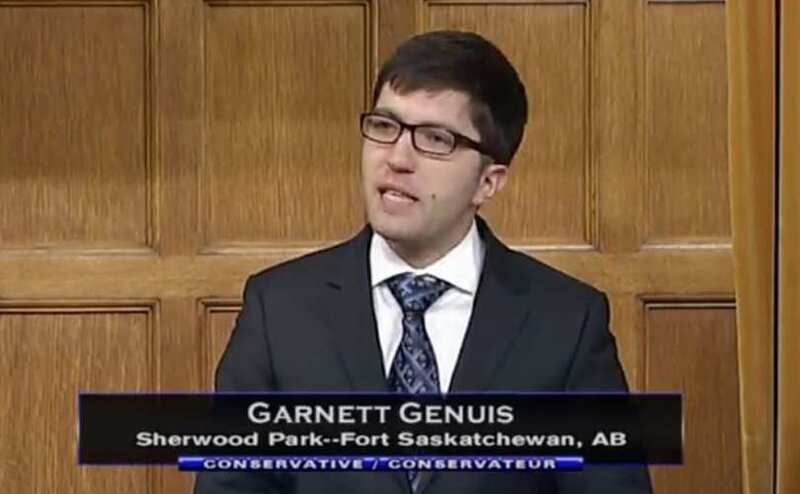 Speaking during the hour of Canadian Foreign Policy, Genuis said, “given the international acclamation of Tibet-China policy, Canada should also stand on the right side of the history”. In this connection he referred to the European Parliament’s urgency resolution of Dec 15, 2016, which condemned the ongoing demolition work at Larung Gar while calling on China to resume its dialogue with the Tibetan representatives. He also referred to the urgent communication made by six UN independent expert groups to China on the eve of the 34th UN Human Rights Council session held over Feb-Mar 2017 in Geneva, and the US Congressional delegations to Dharamshala in May 2017, emphasizing the seriousness of the human rights situation in Tibet and need for a policy rethink on it. To the House, of which he is a member, Mr Genuis called for a motion similar to the one passed by the European parliament that specifically condemned the demolition at Larung Gar. Referring to the fact that the Canadian government had called on China at different times to enter into a dialogue with Tibetan representatives, he urged Ottawa to go a step further to endorse the exile Tibetan administration’s middle way approach that seeks genuine autonomy for the Tibetan people under Chinese rule. Genuis also urged Canada’s Ministry of Foreign Affairs to make a distinct statement on the violation of human rights in China in regard to the demolition at Larung Gar. The demolition was meant to and led to thousands of monks and nuns being expelled from the sprawling centre for Buddhist study located in Larung Valley near the township of Larung in Serta (Chinese: Seda) County of Karze (Garze or Ganzi) Prefecture, Sichuan Province.